Hard-working families, strong communities, and clear paths of opportunity are the foundation of what Nebraskans believe make up The Good Life. And at Nebraska Appleseed, we know that public policy has a key role to play in making sure every Nebraskan can reach their full potential. 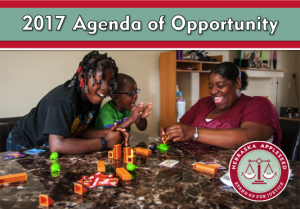 Today, we’re releasing our 2017 “Agenda of Opportunity,” a series of local, state, and federal policies that Appleseed will support in the coming year with the help of our network of advocates, allies, and great partners like you. These policies are proven solutions to the largest forms of systemic injustice in Nebraska. They will clear barriers to opportunity for our state’s working families and make sure every Nebraskan has a fair shot at the American dream. We want you to join us in fighting for these important issues! Click here to tell us how you want to join the fight for justice and opportunity in Nebraska in 2017. We will continue to fight for access to quality, affordable health insurance for all Nebraskans, including the approximately 100,000 people who are in the coverage gap with no way to afford coverage. Ensuring women have access to affordable health coverage for prenatal and maternal care without paying higher costs than their male peers. We will support policies that keep Nebraska’s immigrant families united and let them remain an important part of thriving and vibrant communities. We will urge Congress to pass commonsense immigration laws to repair our outdated immigration system that include a path to citizenship for aspiring citizens. We also will press Congress to uphold the Deferred Action for Childhood Arrivals (DACA) program that has allowed thousands of hard-working young Nebraskans who grew up on our communities to go to work, attend school, and contribute to our state. More than 10 percent of Nebraskans don’t know where their next meal will come from. Nebraska under-utilizes federal nutrition programs, and we will work to fill in those gaps by promoting policies that give Nebraskans access to stable food assistance. We will work to advance policies that fight hunger in Nebraska, including eliminating the harmful cliff effect in the Supplemental Nutrition Assistance Program so hard-working families can put food on the table while advancing their careers to get ahead. We will oppose any effort to impose a sales tax on food and groceries, which would disproportionately hurt Nebraskans with low incomes and make it harder for working families to afford the meals they need. 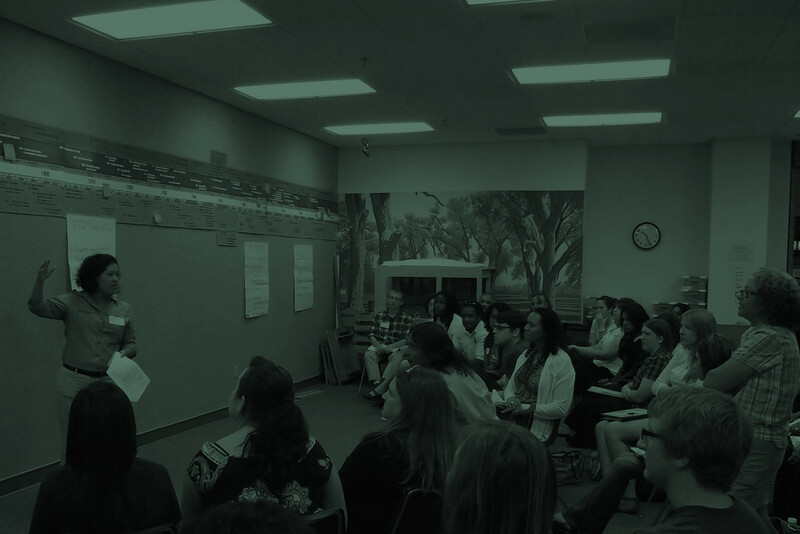 Appleseed will work with lawmakers for further implementation of the federal Strengthening Families Act – an important law that promotes youth empowerment, permanency, and “normalcy,” which allows youth in foster care to have the same important developmental experiences and opportunities as other youth. We will fight for reforms to stop predatory payday lending practices that keep many hard-working Nebraskans trapped in a cycle of debt that harms families and communities. Nebraska currently allows payday lenders to charge one of the nation’s highest interest rates – more than 450 percent on average – and impose unreasonable repayment terms that allow lenders to grab most of, if not all of, a borrower’s paycheck before any other bills get paid. We will support changes to our tax structure that allow our state to reinvest in areas that are proven to create opportunity for everyone such as public schools, job training, quality roads and bridges, and safe, healthy communities, as well as fight cuts to programs that keep thousands out of poverty and help meet their basic needs. These are the building blocks of a robust economy and a bright future for all Nebraskans. We will oppose efforts to increase reliance on regressive taxes that would disproportionately ask working, low-income families to pay more in taxes. These Nebraskans already contribute a higher percentage of their pay in taxes than those with high incomes.